Jane Austen wrote only six novels; far too few for readers who love her work. 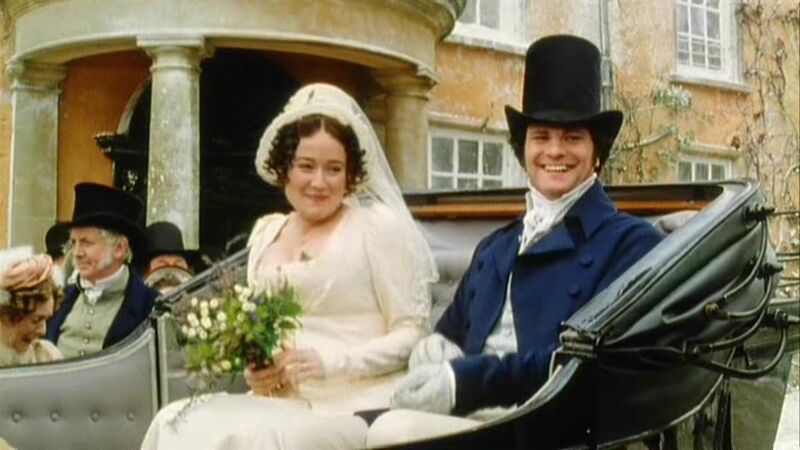 An Austen story ends with a wedding (or two), and readers can't help but speculate about how the couples' married life might have played out. No surprise, then, that so many authors have written, and are still writing, sequels to and reworkings of Austen's novels. We even have "mash-ups" like Pride and Prejudice and Zombies, and Sense and Sensibility and Sea Monsters. Now, famed mystery writer P. D. James has joined in with a sequel that is also a murder mystery. Death Comes to Pemberley begins six years after the close of Pride and Prejudice. Mr. Darcy and Elizabeth Bennet are happily married and living at Pemberley, Mr. Darcy's Derbyshire estate, with their two young sons and Mr. Darcy's sister, Georgiana. The new book begins with a short prologue reviewing the action of Pride and Prejudice and the six years before this novel's story begins. We then enter the great house at Pemberley on the night before the Darcys are to host their annual autumn ball. Elizabeth's sister, Jane, and Jane's husband, Charles Bingley, are already in residence, along with Darcy's cousin, Colonel Fitzwilliam. A new character, Mr. Alveston, is also a guest. 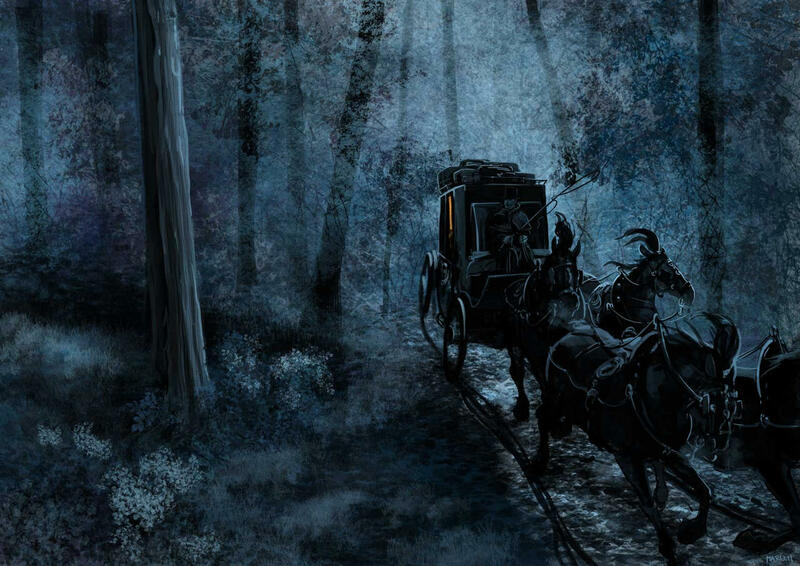 The hosts and guests are ready to retire for the night when a carriage comes careening up the drive during a windstorm, the door bursts open and out hurtles Lydia, Jane and Elizabeth's drama queen of a younger sister, screaming like a banshee that her husband, Wickham, has been shot and killed in Pemberley's woodland. (When you heard there was a Pride and Prejudice sequel with a murder, didn't you just know that Lydia would take center stage in the hubbub?) Because a murder has taken place on Darcy's estate and affects his family–no matter how distant the Darcys have always tried to keep from Wickham and Lydia–Darcy is necessarily involved in the resolution of the case. And, of course, the personal connections make the case an emotional trial for Darcy, Elizabeth and their extended families. Author James hasn't merely dressed up a mystery in Austen style. Her book is very much an exploration of Elizabeth and Darcy's characters, emotional lives and their marriage. James presents a nuanced portrait of the two that is different from the pert Elizabeth and imperious Darcy seen in the popular screen presentations. Elizabeth's new position as chatelaine of the vast estate of Pemberley and her duty to her husband, his family, and the estate have matured her and made her more conciliatory to troublesome characters, even the likes of Lady Catherine de Bourgh. Darcy is presented as a sometimes brooding and self-doubting man, but one who is determined to learn from his past errors and make a happy life for his family. Unlike many authors of Austen sequels, James hasn't populated her story with a horde of new characters. Of course, there are some new characters, but James shows, through the course of the book, that she is well-acquainted with Pride and Prejudice and the other Austen novels, and she skillfully works events and characters from those books into this one. The way she does this is true to the characters and even throws new light on their behavior and circumstances in Pride and Prejudice. She does this so well that from now on I will always think of some of the Pride and Prejudice characters as having the back story that James gives them. "It is generally accepted that divine service affords a legitimate opportunity for the congregation to assess not only the appearance, deportment, elegance and possible wealth of new arrivals to the parish, but also the demeanor of any of their neighbors known to be in an interesting situation, from pregnancy to bankruptcy. A brutal murder on one's own property . . . will inevitably produce a large congregation, including some well-known invalids whose prolonged indisposition had prohibited them from the rigors of church attendance for many years." "Miss Bingley was particularly anxious at this time not to leave the capital. Her pursuit of a widowed peer of great wealth was entering a most hopeful phase. Admittedly, without his peerage and his money he would have been regarded as the most boring man in London, but one cannot expect to be called 'your grace' without some inconvenience." As a sequel to Pride and Prejudice, Death Comes to Pemberley is a satisfying effort. As a mystery, it is not conventional and probably not what most of us expected when we first heard about the book. Mr. Darcy doesn't suddenly turn detective; in fact, nobody does. But the way the story plays out is more true to the time and place, and to Austen's style, than it would have been if James had tried to bolt a detective story onto an Austen sequel. I should note, though, that this Austenworld authenticity and lack of a detective story may mean that the book disappoints some mystery readers, including some P. D. James fans. As a lover of Jane Austen, if not a complete Austen fanatic, I was happy to spend this time at Pemberley, revisiting the characters from Pride and Prejudice and seeing their later lives depicted in a way that is faithful to the depth and complexity that Austen gave them. I was disappointed that there wasn't more time spent with Darcy and Elizabeth, but that's more of a quibble than a serious criticism. If you can't get enough of Jane Austen sequels, there is some intriguing news. The UK publishing house HarperCollins plans to pair up modern authors with each of Austen's six novels and commission the authors to adapt Austen's stories to a modern setting. The first pairing will be Joanna Trollope with Sense and Sensibility. But don't get too excited about the project. That first book isn't projected to be published until two years from now. In the meantime, you could do a lot worse than read Death Comes to Pemberley. Note: A version of this review appears on the Amazon product page for the UK edition, under my Amazon screen name. I am very excited to read this review. This sounds like a perfect idea for a Christmans present, for myself of course! MC, my husband's about halfway through with it and says he's enjoying it. Nikki, if you've ever seen a Pride and Prejudice movie, that's enough prep to read this. I don't think it's absolutely necessary to read the book first. 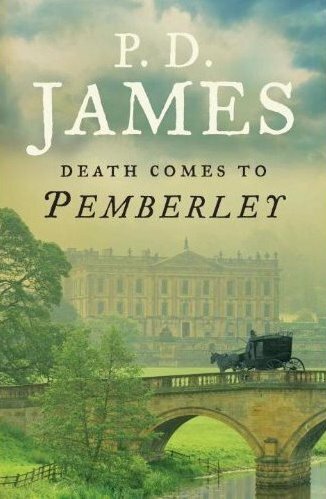 What I'm curious about is what people who are real Jane Austen maniacs think about Death Comes to Pemberley. I should go look up some of the Austen websites to see if they've been saying anything.